Rob Sabin, editor of Sound & Vision, wrote an “Editor’s Eye” post at their website yesterday titled “Why Hi-Res Audio Will Succeed”. I’ve known Rob for a number of years. 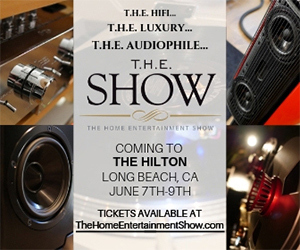 He was in attendance at the CE Week events that we coordinated last June and he heard the high-end surround sound demo system that NAD, PSB, and AIX Records assembled. He was more involved in the high-definition TV shoot out portion of the program so we didn’t get a chance to chat. He was also the primary contact for the CEA/CTA “Guide To Hi-Res Audio” and was largely responsible for pulling together the writers that contributed to the piece. I wrote several email to him offering my expertise but I didn’t hear back. He’s a long time writer and editor on all topics associated with video and audio. But he’s dead wrong about the prospects for Hi-Res Audio. In its current form and contrary to his predictions, Hi-Res Audio is doomed to failure. In fact, it’s already failed. Rob points out that revving up the promotion of HRA through the partnership with the CEA/CTA might seem a “questionable affiliation” given that his online collection of websites feature products manufactured by the very people that will benefit from hyping Hi-Res Audio (the hardware meaning of the term). He states that he was “quick to sign up as the expert editorial voice for the project” in order to educate the public. Rob claims to be able to hear the “the difference hi-res can make, especially in comparison to the stripped-down MP3 and AAC libraries or anemic streaming services the majority of consumers use today as their primary music source.” I would sure like to get more details about his experience with hi-res audio if he’s playing standard-res tunes through new hi-res audio gear. Others has routinely demonstrated that there is no audible difference. The Guide that he and the CTA are so proud of is nothing but marketing spin, contains numerous factual errors, and continues the promotion of standard-resolution music transfers as something exciting and worthy of your dollars. The intent was, “… to remain more marketing focused”. What about the fact that the “music listening experience” of Hi-Res Music is old technology repackaged in “higher” resolution bit buckets that have no effect on the fidelity of the older masters? Hi-Res Audio and Music have already failed. The mass market is rapidly abandoning physical media AND digital music downloads are losing out to streaming services. There is no market for real Hi-Res Music because there isn’t any supply. And he’s wrong when he compares the continuing refinement of video with the march to more and more pixels, better contrast ratios, deeper blacks, and even 3D. Audio’s march through generations of technology flat lined ten years ago and has reached a point where the fidelity of the delivery hardware exceeds the fidelity of the music. How can he defend his claim that, “…HRA is taking advantage of faster and wider Internet pipeline, along with cheaper processing and memory chips in our devices, to deliver better-than-CD-quality digital audio to audiophiles and mass market music lovers alike.” The music sources being distributed through this improved “high-tech” environment are oldies. The fidelity doesn’t improve by taking a newly remastered version of a 60s classic and transferring it to 192 kHz/24-bit PCM. And the music industry isn’t waking up to the potential of HRA. They remain blissfully asleep as their businesses circle down the toilet. Engineers, producers, and labels continue to release over-processed, heavily mastered, and sonically neutered productions that satisfy the younger demographic. But they lack the fidelity that many of us enjoyed 30 years ago. The only thing that’s inevitable about HRA music is that hardware and content companies will continue to spew falsehoods in the hopes that they can profit from selling the same stuff to unwitting consumers one more time. In all honesty, we’ve reached the end of line in advances in musical fidelity. The article closes by saying that HRA will become “the de facto standard for downloads and streaming”. The blue hi-res indicator light might illuminate on your Pono player but the experience is solidly stuck in the standard-res past. “High Res” audio is good because we are going back to the sound we had back when the tapes were made. Whats wrong with going back to that original sound? and you very much can tell the difference between a highly compressed mp3 or acc and a uncompressed master tape even if that tape was made 30, 40 50 or however many years ago. It seems Mark is doing the same thing he is saying that HRA proponents are doing. He is blatantly saying falsehoods to make his case better. i don’t think anyone is saying that a master tape made 50 years ago and a digital file made today sound the same. if anyone is saying that Mark or anyone please give me the link to that article. all of this fuss seems just to be a semantic argument about what we should call “high res” and what shouldn’t be. what if we said simply something that sounds better then a highly compressed mp3 or acc or whatever compression.Yes a cd is “high res” because it is uncompressed processing it at 192/24 won’t make it sound better but if we are transferring an analog tape at uncompressed 192/24 or 96/24 it won’t “sound better” but we are getting all of the sound that is there. simple semantic argument don’t understand the fuss. The sound of the original tape can be wonderful. But it’s not hi-res music. Did we call it hi-res 30 years ago? The people pushing this new format are changing the definition so that the mass majority of their old libraries qualify. And the comparison is not against the MP3 or AAC formats…it’s against a master tape and a high-res transfer of the same tape. I realize that ‘re-mastering’ an existing recording to 24/96 is not actual hi-rez by definition but won’t the sound quality still be better than doing nothing? Yes, I have recently been disappointed after being finally referred to a sight where I thought I would be able to buy hi-res downloads of Deutsche Grammophen classical recordings, only to find a very small catalogue of mostly famous (but OLD) performances of the 1960’s being marketed as 96/24 hi-res recordings. And phrases such as “issued….2015” but no clarification that these are 2015 re-issues of 1960’s recordings. To me this all borders on cynical false marketing. Yes, a careful digital re-mastering of these old recordings will get the best out them, and if the original master tapes were well-done, and well-preserved, the sound should be “good”, but not the same as the sound of a digital recording on the best modern equipment recorded from the start as a 96/24 recording. Hi, Mark – Although I agree with you regarding about 95% of what you say, I did want to mention that, as a classical listener, I’ve had a different experience with online streaming, particularly with Naxos’ ClassicsonlineHD streaming service. It’s fairly new (out for less than a year, I think) and it’s having some teething problems. (In fact, I’m currently unsubscribed because of problems it has with the recent Macintosh El Capitan (OSX 10.11) operating system. I expect to be back with them in a couple of months. In any case, they are a classical-only service and provide hi-rez (up to 24/192) along with CD-quality music, and the hi-rez aspect can be verified by checking the bit rate as the music streams. My experience with previous downloads of the music they stream, much of which originates from Naxos itself or Naxos distributed labels (such as the LSO Live or Mariinsky labels) is very positive. I’ve used spectrograph software to check the frequency response of these files, and the high frequencies show up as expected. These are new recordings, not reissues, that these labels are making at the current time, and there are enough of them coming out each month to make the service very worthwhile. Nothing of what I’ve mentioned may apply to the non-classical worlds, but for classical, the future is streaming – and it’s also hi-rez. The Naxos ClassicsOnlineHD site does have some real hi-res recordings available for both streaming and downloads, but some of the HD recordings on the site are 2xHD and analog master hi-res transfers. As with your example with OSX 10.11, the lack of client app support is a problem with this site. Also, recordings that have been mastered for multi-channel such as Pentatone recordings are only available in stereo for both streaming and downloads. I asked Naxos about the possibility of offering multi-channel recordings, and this is the response I got. Interesting. Naxos is my distributor for physical copies. I handle the surround versions on itrax. Why do you need to check if it’s HRA by checking the bitrates or using a spectrograph? If it’s so much better wouldn’t you just be able to hear it and be blown away? I have certainly had people listen to some of my native high-resolution recordings and be blown away. But it may not be exclusively the fact that the sample rate and word lengths are 96 kHz/24-bits. The more likely reason is that I don’t use dynamics compression, I record in a wonderful venue, I use stereo miking, and I don’t tweak the EQ of the instruments of vocals. The reality is that virtually all commercial recordings aren’t high-resolution and won’t benefit from being placed in 192 kHz/24-bit bit buckets. The fidelity is fixed at the time of the original recording and mastering. High-resolution recordings are “so much better”. It is a shame that some industry people are distorting the truth, but they have always done that. Critics like Mark need to keep writing and talking and the truth will eventually get out there. There is nothing stopping the industry from doing the right thing. It cannot hurt their sales and profits, but they are trying to introduce CD’s all over again. Re-sell the same old music for additional money. Consumers were screwed over by CD’s to a certain extent (first ones sounded horrible, but they could hold more music and were durable compared to vinyl for the most part). Huge profits were made, consumers did not care, they got music in convenient and eventually better format. “What A to D converters did you use? About six months ago I went to the local Barnes & Noble store to look through the marked down CD’s, only to find that they had been replaced with Long Playing Records. Prices range from $20.00 to $50.00 for brand new 180 gram pressings, mostly classics. I asked the casher if the LP”s were selling, and she replied with an enthusiastic, yes. 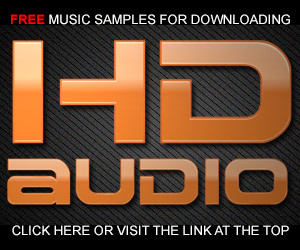 Audiophiles and the high resolution music they crave is a niche market. The marketers aren’t stupid enough to let themselves be caught up on a false advertising rap – they’re very careful not to say that their version of hi def sounds better than CDs, only that it sounds better than music subjected to lossy compression. For a generation seeking to recapture the excitement of the music they heard in their youth in the nineteen sixties – and we are who they’re marketing to – the fact that some other, newer music they’ve never heard of can be obtained in higher definition is essentially irrelevant. They want to recapture the excitement of their old favorite records. If they can be sold well done transfers of the original master tapes that sound better than their old LPs, dynamically crushed CDs, and the lossy compressed files they’ve gotten used to, they’ll be happy – even if they could get the same result with a well transferred CD. Since the major element of cost is the engineering time spent in doing a good transfer, it really doesn’t matter what the container is. This marketing push will succeed as long as they actually get a product that sounds closer to the original level masters, and not just another crushed copy. The real battle is not over delivery mechanisms but over content – only if major artists can be persuaded to actually produce in high res and release without excessive compression will true high res win out. It may actually be the case that if the industry delivered level masters in inflated containers, that that improvement in sound quality – which could have been provided on CD (shh!) – could create enough of a market for high-res for new high profile production to be done that way! I think you should focus instead on promoting the “immersive surround” aspect of your stage perspective productions, given the widespread adoption of 5.1 sound systems for home theater, which has become an ever-escalating arms race of first 7.1 (with rear speakers added) and now the addition of overhead speakers. AIX can keep releasing in 5.1, because the folks setting up systems with larger numbers of speakers routinely use the ambience derivation features of their AV receivers to put out sound from the additional speakers when playing 5.1 disks. 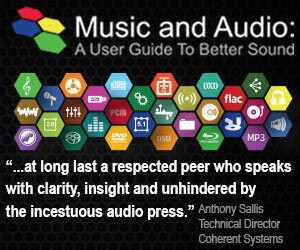 You might even find that kind of marketing push from AIX being embraced by the audio industry. You might have become unwelcome in the music publishing space, but the home theater industry will welcome the surround aspect of your productions, and might want to use your stuff as bundled starter disks. Sell the equipment manufacturers a starter disk to bunde, with a mix of the few name artists you have disks by and a few up-and-comers, and include an open-ended discount for the consumer for additional purchases, and you might both prime the pump both of sales of your existing stuff and interest other musicians and producers in working with you or at least releasing in surround! I worked my way through the online Golden Ear series of tests, using my prized AKG Studio 240 headphones plugged into the Intel motherboard sound module of my Dell PC, which is rated as being able do handle up to 96/24. Maybe it was the soundcard or the cans, or my 65-year old ears, but for the life of me, I couldn’t get past the stage where you distinguish between a 128Kbps mp3 and an uncompressed version of the same sound. I couldn’t reliably peg which was which. I’ve always prided myself on my high-frequency hearing, to the point where I find the built-in grand piano sounds of Yamaha and Casio hammer-weighted electric pianos lacking when chords are sustained because the overtones don’t die out naturally but continually recirculate, becoming a “traffic jam” of mush in the high frequencies. But I couldn’t tell the difference between the 128kbps mp3 and the straight sound – although, now that I think about it, how was the website sending the sounds? If it was using 128k mp3 as its transmission medium, no one would be able to tell the difference! It’s very tough to tell the difference…even with lots of training and excellent equipment. I’m right there with you. Thanks. Good suggestions and thoughts…thanks Phil. I would hardly count Michael Fremer as a creditable source on the sound quality of digital and analogue. This is the guy who says he can hear the difference in record cleaning fluid. I don’t know about that but I will say one thing about Fremer and that is he has an amazing ear. One of the few guys I’ve met who can hear into equipment, cables, mastering, instruments ectr. He has an ear better than many seasoned musicians I know. Go figure. Mettler: As a longtime producer, your ears are attuned for a certain sound when you’re recording. What kind of sound or sounds were you going for here? Edmunds: Well, hmm, let’s see. I just try to get a nice drum sound, a nice bass sound, and a nice guitar sound. I don’t do a helluva lot of messing around with things, just a bit of EQ. I use the Logic Pro 9 not as most people would use a machine like this because I don’t do any sequences or loops. There’s no MIDI on there, and no quantizing. It was pretty straightforward. I use it more like an analog tape recording. I use my experience from that and use the Logic Pro 9 as a recording device, but with all of those nice effects and everything else you can get with it that you can’t get with analog. I’ll never again use analog tape. Mettler: Oh no? How come? Edmunds: Ummm, I’m not convinced when people say, “Oh, it sounds warmer,” or somehow it’s superior. I think it’s all down to the playback system. On a great playback system, it’s gonna sound good. And if it’s not such a great playback system, then it’s not going to sound good, regardless of the format you play it on. In an A/B comparison, I think people can fool themselves. Read more at click here. Lets make it a clear and simple statement: A 16/44.1 transfer of an analogue master tape is exactly the same as a 24/96 transfer when converted back to analogue. This is because sampling theory tells us at the dynamic range and frequency bandwidth of master tape there is no information that is lost at the lower bit depth / sampling rate. Best wishes, keep up the good work Mark, behind you all the way. I would quibble some with the statement. There are some analog tapes that have ultrasonic frequencies…some but not most. Could you please point me to the studies that demonstrate there is no discernible audible advantage to HRA? The research that the CEA did a year ago (of which I was a part) showed no perceptible difference. The participants chose the MP3 files as often as the high-res files. More research is trying to show there is a difference and Robert Stuart’s AES paper is a close as anyone has gotten to showing some correlation. Here is another recent article that agrees with mark. “… if we are transferring an analog tape at uncompressed 192/24 or 96/24 … we are getting all of the sound that is there”. Don’t we already get all (of the sound) that is there with a good transfer of the analog tape onto a CD? There is some possibility that an analog tape with ultrasonics would be missing some sound on a CD transfer. “There is some possibility that an analog tape with ultrasonics would be missing some sound on a CD Transfer”. But for pop/rock music from the 1960s to 1980s one most likely will get all there is when buying a CD made from those old analogue master tapes? Yes…the sound will be virtually identical. Take for example Jethro Tull’s “Aqualung” (Steven Wilson Remix), which is available as a 24bit-96kHz download and as a CD. Do I loose something when I buy the CD instead of the download? And, do I hear the difference comparing them? Would you say there is some noticeable difference between them? Those ultrasonics you mentioned, can one (really) hear them? I wouldn’t spend the money on the hi-res download unless the price was the same as the CD AND the mix is the same. You would not be able to tell a difference. I agree that reissues that are stuck at 16/44.1 won’t sound appreciably better with 24/192 (though perhaps slightly) but analog and higher rez will sound as good as they can so they are perhaps worth that sort of reissue as long as the.cost isn’t prohibitively high PLUS the original recording mode is revealed. Release at 24/192 won’t make it sound better than the original. Well, today I saw an offer for Madonna “Like A Virgin” in 24bit-192kHz (PONO store, HDTracks). SONY PCM-3324 (24 channel Digital Audio Recorder) and mixed with a SONY F1 to 2-track (12bit). Alex, this should come as no surprise. It’s true of virtually all of the recordings available on every one of the high-resolution digital download sites. None of these sites, no of the organizations behind the high-resolution marketing efforts, none of the equipment manufacturers, and none of the artists are going to tell you the truth about the fidelity of the recordings they’re offering because it’s not in their best interests…read money here. Mark Waldrep is technically correct about high resolution audio being a fraud. This is because RBCD already exceeds the capability of human hearing. It can arbitrarily select loudness from among 16 thousand loudness levels changing every 44.1 thousandth of a second. Dynamic range, frequency range, dynamic resolution, and frequency resolution, the parameters of an information channel exceed the abilities of even the most acute human hearing and the most demanding electrical signals that are digitally encoded analogs of musical sounds that can be heard by humans in these respects. Any test that seeks to distinguish between audible RBCD performance and systems with greater technical capability must be very carefully devised and conducted to be certain there are no other variables that would influence the outcome. Most audio comparisons are not made under such rigorous conditions and result in flawed conclusions often expressed in broad generalizations. An example of one was an experiment conducted by a professor of electrical engineering in Japan to prove humans could not hear above 20 khz. The flaw in the demonstration was that signals above 20 khz when introduced caused distortion to the tweeter in the audible passband. When the test setup was revised using a separate super tweeter for ultrasonic frequencies the results were as expected. This is the kind of error even the most well intentioned and technically competent people can make. This is where Mark Waldrep and I part company. There are other aspects to musical sounds related to time and space that are not considered in the current paradigm that are crucial. This is because that paradigm has been devised largely by electrical engineers who see sound as an analog of electronic circuit models. Sound is not an electrical phenomenon and exists in a physical three dimensional world of vectors where current technology does not take it. Electronic signals are not vectors, they are scalars having only the dimensions of magnitude and time and the vectors of sound that emerge from loudspeakers have practically nothing in common with those that are heard in live music nor eveb those that are generated by musical instruments. There are no commercial technologies and only a few experimental ones that consider and address this aspect of sound. The multichannel technologies being developed for home theater and movie theaters are all based on flawed models that also are doomed to fail except for creating special effects for movies. For recreating concert hall acoustics in a home they are not comparable to what is required to achieve that goal. The acoustic effects of venues comprise the overwhelming majority of sound energy reaching a listener in a live concert. 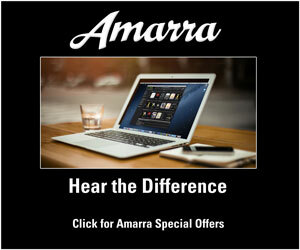 They are qualitatively different from the direct sound and play a very important role in the way sound is perceived. In short achieving that is well beyond the current state of the art. It will not be achieved by doing what has already been done only better. It is the concept that is fatally flawed, not the equipment. Mark…I wouldn’t agree that CDs “already exceed the capability of human hearing”…they don’t. They do very well and for all practical purposed meet the needs of the music creators. But the dynamic range falls short of what our ears can do and the frequency response is still an open question. As for the current state of formats and reproduction of sound captured through microphones and from direct sources, there is undoubtedly more to learn and different approaches still to be explored. However, my point is that given the standard operating procedures of the music industry, the equipment we have available is underutilized. The recordings don’t require the kind of dynamic range and frequency extension that new gear can deliver. At least some of the best equipment. 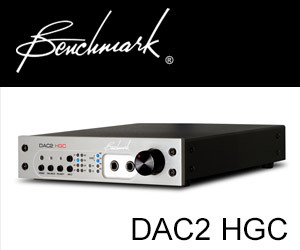 It’s a fact that most equipment…even the so-call HRA gear doesn’t measure up to the CD spec! Given the current state of affairs, HRA doesn’t matter because there is so little content that exceeds CD specs AND the equipment isn’t up to the task. Upon further reflections, I agree, that is correct, they don’t. RBCD is not capable of recording and reproducing every sound normal human hearing is capable of. Human hearing at its most sensitive frequencies usually around 4 kHz is capable of 120 db of dynamic range between the threshold of hearing and the threshold of pain. RBCD does not have that capability. What it does have is the capability of recording and playing back a subset of that range, the range within which virtually all acoustic music falls. This range is defined by the noise floor which by AIA (Americaan Institute of Architects) standards for an empty concert hall is about 20 dba NIC (C weighted) and the loudest sound a symphony orchestra can produce, about 100 db (some claim 105 db) in the audience where it is heard. This worst case 85 db range is within the limits of RBCD but not of LPs. So the criteria for the standards of RBCD was to be able to record and reproduce all acoustic music and it meets that criteria. That humans can hear or sense sound beyond 22 kHz has yet to be proven. The Fletcher Munson curves show that at 20 hz and 20 kHz the threshold of hearing and the threshold of pain intersect. That means any vibrations beyond those frequency limits intense enough to be sensed would be experienced as pain, not sound. Thanks Mark. There are some holes in your well thought out comment. What about music that doesn’t come from a symphony orchestra in a live concert hall. And even in that circumstance, where are you sitting? The sound pressure level in front of the brass section exceeds 100 dB. I believe that CDs can accurately reproduce the sound of virtually all commercial music releases. As for the ultrasonic debate, there are other studies that point to other mechanisms. For me it’s simply too simple to include them regardless of whether we “hear” them or not. What do you consider to be the greatest dynamic range required to capture acoustic music? Not the loudest sound but the difference between the background noise and the loudest sound? It is interesting that while sound in different parts of a concert hall are qualitatively different, the loudness remains fairly constant from the front to the back. This is because most of the sound energy heard in the audience comes from reflections, not directly from the instruments themselves. Audio playback systems compensate by playing back the sound that has been captured fairly closely miked largely from the instruments and early reflections at much louder levels than is heard live to make up for what was not recorded that is heard in the audience. In addition they come from two or a very few directions which gives it a blaring blasting quality live music doesn’t have when it is loud. A famous designer of preamplifiers who shall go unnamed but whose initials are John Curl bragged that he was regularly exposed to sound of 130 db on the stage where the Grateful Dead performed when he was their sound engineer. He designs his equipment by sound alone claiming he cannot measure differences he can hear. Go figure, but a lot of people seemed to like his designs and spoke highly of them. Any test designed to determine the audibility of sound above 20 kHz must be designed to preclude signals above 20 kHz causing distortion in the audible range as well. This was the mistake the Japanese professor of electrical engineering initially made and then corrected with a separate super tweeter for the ultrasonic frequencies. It all depends on the acoustic music being examined. I know that more than a few of my recordings eclipse the dynamic range of 93 dB, the upper limit for CDs. The “sound remain fairly consistent from the front to the back”? Really? Not in my experience. Not to long ago I attended a concert at Disney Hall in Los Angeles. I sat behind the orchestra very close to the ensemble. On previous occasions, I’ve been on the floor and in the back of the hall. I wouldn’t begin to describe the sound as “fairly consistent”….in fact, it was dramatically different. I couldn’t disagree more with you about that “most of the sound energy” comes from reflections. It comes from the direct sound of the instruments. If you’re sitting in the best seat in the house, maybe 20% of the energy comes from the reverb. Remember the inverse square rule about distance and amplitude? I’m afraid I’m not on board with any of your assertions about the sound in concerts and the reproduced sound having the ambiance boosted. I certainly don’t do what you’re proposing. into a 16bit – 44,1kHz and an AAC 256kps file. Comparing those three I could not hear a difference. And this with careful listening using headphones. The article is bang on . Really nothing to add. Physical media is dying, blu Ray audio came and went and did anyone really notice? Wouldn’t it be great to have some choices? I agree. Never a truer word spoken…the industry is killing itself.